Air quality is a concern for a lot of people and adding an air purifier to your car effectively reduces some of the poor air to which you'll be exposed. Airbubbl is nicely designed and has a whiff of quality about it, but there's no reflection of what the air quality is actually like as a reading, which would add a degree of information currently missing. There has been a lot of research into air quality and it's a well-known problem in metropolitan areas - especially for car drivers. Some car manufacturers have gone to the lengths of adding HEPA filters to their air circulation systems - Tesla being the notable example, with its Biodefence Mode, looking to improve interior air quality. On the whole, however, it's a rarity, with most cars offering a pollen filter that will catch large particles, but doing nothing to protect you from other particulates you might be exposed to within the car. Enter Airbubbl, part of a new generation of in-car air purifiers, looking to clean up the air in your car and bring you added peace of mind. The Airbubbl is a pretty substantial device, measuring just over 30cm long and about 12cm in diameter, it has been designed to attach to the back of a car seat - and it nestles nicely behind the head rest. The body is metallic grey plastic, with the central section covered with a mesh tube. Behind this mesh tube you'll find access to the internal filter cartridge. There's a rubber strap with a buckle that makes installation really easy - it takes about 10 seconds to clip into place - and we found it to be sturdy enough to stay put in normal driving conditions without bouncing around or moving. It comes with a 2m long USB-A to USB-C cable and a 12V plug adapter, so you have the option for powering it depending on your car. In many cases, the cable will be long enough to stretch from a 12V socket in the boot/trunk to the rear seat headrests. Equally, you could mount it behind the driver's seat in the centre of the car, but then your rear passengers will be looking at this air purifying unit on the back of the seat. The choice is yours, as they say, but Airbubbl say that the design of the air outflow is to direct that filtered air towards the driver and passengers - so in the centre of the car is better. You'll also find a selection of adhesive cable clips in the back. This would let you clip the cable down so it's nice and tidy, although we're not sure we'd want to use self-adhesive clips around the interior of a car. In most cases you can probably route the cable through the car's interior without too much trouble. What sort of filter does Airbubbl have? 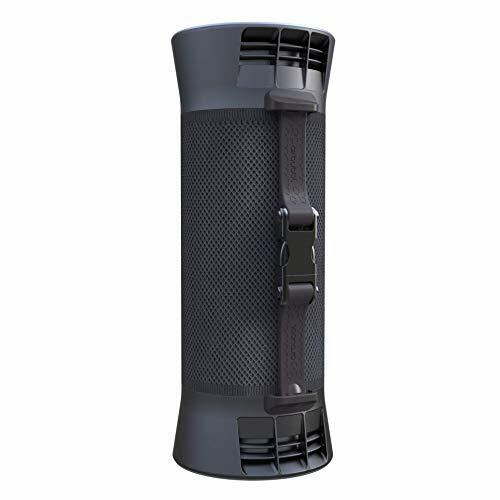 The Airbubbl has a nano carbon filter that will remove particulate matter as well as gases - and this is what makes it slightly different to a HEPA filter in many air purifiers. It's designed to remove gases, whereas many HEPA filters will only remove particulates. Airbubbl states that the filter will reduce nitrogen dioxide and ozone, volatile organic compounds, dust, PM2.5 and PM10 (both grades of particulate matter common in vehicle pollution, in 2.5µm and 10µm sizes), bacteria and odour. That means it will be filtering out everything from soot, brake pad dust, partially combusted fuels, pollen and a whole lot more. HEPA filters by definition have to filter down to 3.0µm - to give you an idea how the filter compares. HEPA doesn't filter gases, however, which the Airbubbl filter does, making it a more efficient air cleaner. HEPA might be perfect for your home, but you're probably not dealing with same level of gas pollutants (unless you're really unlucky). Of course there's a degree of trust here and there's no indicator of the actual air quality, neither on the Airbubbl itself or the accompanying app - so there's no feedback method to reassure you that the unit is actually doing something. While we don't have an air quality monitor, however, the BBC did test a prototype unit in a short video (above) to demonstrate that it's actually doing something. Anecdotally, of course, it's obvious once installed that it's removing things like odours and in wider testing in our home, in the kitchen, we found it effective at removing cooking smells from the house. While the Airbubbl is designed for the car, there's nothing to stop you using it at home too. Once setup and connected to the power, Airbubbl will start cleaning air for you. There's an accompanying app that will let you control the Airbubbl, allowing you to select normal, boost or leave things in auto mode for cleaning - although the app doesn't really add much to the experience. Auto mode will start on a boost cycle for five minutes before switching to normal for two hours. The idea is that when you start driving, it will aggressively filter the air to remove pollutants before resorting to steady state filtration. There's a noticeable difference in the sound levels in these two states. If you're lucky enough to have an electric car you're more likely to notice it, but in a typical car with the radio on, it's not too much of a distraction against the background noise. The app will also alert you when the filter needs replacing and Airbubbl recommends that you do this every six months. A replacement filter costs £39.99 and they are available from Amazon UK. If you don't want to use the app you don't have to because there's a manual button on the end of the Airbubbl unit that you can easily press to cycle through modes. That will also allow you to poke the button if you're sitting in traffic, for example, and concerned about the air quality. Again, the app feels like it could be doing more - perhaps as a read-out for some sort of air quality monitoring (although this doesn't appear to be present on the Airbubble unit) and to a certain extent we expected "auto" mode to detect and clean bad air when needed, but that's not how it's setup. Naturally all this would increase the costs and you could just take it as given that the air quality in your car, in traffic, is poor. Airbubbl is an interesting solution to the concerns that many have about in-car air quality. For those who spend a lot of time on the road, it provides a solution that many cars don't currently offer. Most car air circulation systems will draw in polluted air through a pollen filter and circulate it around the car. Airbubbl aims to reduce that and provide a nicer interior environment. For taxi drivers or commuters who regularly find themselves in traffic, or those with young children, the £300 investment in Airbubbl certainly addresses those concerns and will improve the air that you're breathing. However, with no air quality monitoring onboard, you might want to check the air quality in your area before you splash out.